1.4 GB of textual records.- 0.2 l.m. of textual records.- 3.68 GB of video.- 396 MB of sound recording.-1.49 GB of photographs. 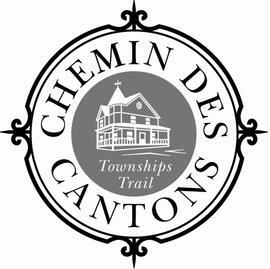 Le Chemin des Cantons, also referred to as the Townships Trail was first launched in June 2007. The trail traverses over 30 towns, eight regional county municipalities and over 400 km of the Eastern Townships. The trail begins in Brome-Missisquoi and ends in Val-Saint-Francois. Following secondary routes, the Townships Trail explores the British, American, Scottish and Irish influence and legacy in the Eastern Townships through the 18th and 19th centuries. The trail is one among eight tourist routes recognized by Quebec’s Ministry of Transportation. It’s mandate is founded on showcasing the built and natural history and heritage of the Eastern Townships through the use of marked route signs. In addition to the trail signage, the Townships Trail also provides tourists with maps and audio guides that recount and narrate the memories, stories, and history through artists and locals from the region. First conceived in 2004, the cultural trail has materialized through a partnership between the municipalities, the Local Centres of Development for Haut-Saint Francois, the Regional Conference of Elected Officials of Estrie and Monteregie Est, the Quebec Anglophone Heritage Network, along with Tourism Eastern Townships. The Corporation de la gestion du Chemin des Cantons is run by a Board of Directors of 15 members who are elected by the General Assembly for a period of two years. The members of the Board of Directors represent the eight regional county municipalities, Tourism Eastern Townships, the Conseil de la Culture de l’Estrie, the Anglophone Heritage Network, the friends of the Townships Trail and the Attrait-Etape. The Board of Directors also includes two co-opted members who are appointed by the Board. The Corporation de la gestion du Chemin des Cantons also has a coordinator Helene Deslauriers who has held this title since 2007. There are also a number of committees in charge of programming, routes, evaluation, marketing and relaunch. Notable founding committee members of the route are : Julie Sage, secteur tourisme de Coaticook, Marc Cantin, secteur tourisme et culture Asbestos, Dominic Ferland, secteur culture memphremagog, Julie Pomerleau, secteur culture Haut-Saint Francois, Alain Deschatelets, Tourisme Sherbrooke, Josiane Ares, secteur culture Val- Saint Francois, Sylvie Vandal, Tourisme Granby Bromont, Denis Brisebois, DBSF, Sylvie Lamarche DBSF, Marie-France Bourdages, Tourisme Cantons-de-l’Est, Jocelyne Jacques, ministere de la culture et des communications, Line Brault, CLD Brome- Missisquoi, Melanie Duranleau CLC Haut St Francois, Dominic Ferland MRC Memphremagog, Jacynthe Ferland, CLD Val St-Francois, Jocelyne Jacques, MCC, Shirley Lavertue, MRC Coaticook, Diane St- Jacques, CLD Haut-St Francois, and Helene Deslauriers, Route Culturelle- Tourisme Cantons-de-l’Est. The series contains primary source material on the history, administration, finance and public relations of the Corporation de la gestion du Chemin des Cantons. It consists of minutes, correspondence, financial statements, photographs and advertisements. It is comprised of the following series: Administration (2005-2013), Financial Resources (2006-2012), Public Relations (2006-2012), Immovable and Movable Property, Chemin des Cantons Media (2009-2012) and CDs. The fonds was processed by Ariana Ho, archival intern, under the supervision of Jody Robinson in 2016 courtesy of funding from Canadian Heritage.